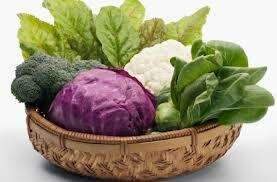 The cruciferous family of vegetables are unique among vegetables because of their glucosinolate content. Glucosinolates give cruciferous vegetables their characteristic spicy or bitter tastes. When the plant cell walls of the cruciferous vegetables are broken by blending, chopping, or chewing, an enzyme called myrosinase converts glucosinolates to isothiocyanates (ITCs) - which are the compounds in cruciferous vegetables with potent anti-cancer and other healing effects. Such effects include anti-inflammatory, anti-angiogenic, detoxification, preventions of DNA damage, promotion of programmed cell death, anti-etrogenic activity, etc. 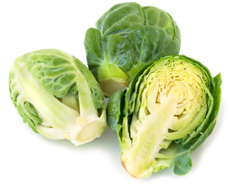 What this means is that cruciferous vegetables must be chopped, crushed or chewed well for maximum benefit so that the myrosinase enzyme can cause the chemical reaction. The myrosinase enzyme is physically separated from the glucosinolates in the intact vegetables, but when the plant cell walls are broken, the chemical reaction can occur and ITCs can be formed. The more you chop or chew, the better. However, these enzymes heat sensitive. This doesn't mean that we should only eat cruciferous vegetables raw, but that when we are cooking these vegetables, we should chop them up in advance, and leave them for 5 - 10 minutes before cooking them, to allow the enzymes to act before they are destroyed by the heat. So when you cook with cruciferous vegetables, chop them well, and then leave them for at least 5 minutes - go and set the table or something - and only then, start cooking them, so the enzyme has time to work before being denatured by the heat. Remember: When eating raw - chew well to release the myrosinase. When cooking, chop, wait, then cook.